Morning friends! Today is #MealPrepSunday and I wanted to share with you some of the essentials I picked up for the first week of this challenge! The goal for me is to create meals that I like and that I am going to be excited to eat during the week! I am also going to follow up with a slightly different meal plan on the weekend so I get a chance to enjoy a nice dinner with my hubby or my friends and then get back on track! If you want to learn more about the 30 day challenge that I am hosting and would like to join Please read this post HERE! Ok now on to my grocery list! I have a few things at home already so stay tuned for my #MealPrepSunday video later tonight but until then here are a few items I bought to change things up a bit! I will share how I plan on using them for the week! Ok first up is Couscous!!! I love me some cousous you can add your vegetables on top just like rice or even add some cinnamon for a sweeter flavor and tastes great with your sweet potato!! Literally takes 5 minutes to make! I usually stick with about a 1/3 cup for lunch along with my veggies and protein! I grabbed a few cans of beans as I plan on making a chili! Soups are amazing in a crockpot and so is chili! Holds really well for the week and very filling! Usually 1 cup for lunch or dinner is great! Sometimes I will throw chicken or even ground turkey in there as well! I LOVE Olive Oil spray! I use it on all of my cooking! spray your potatoes, veggies, and stir fry with it! In addition the coconut aminos are a great alternative to soy sauce and I love using it in my stir frys if you have seen me cook! Remember veggies are so good and good for you! I want to focus on just adding veggies to everything this week!! Don't worry about portion this week when it comes to your veggies!!! here is a video of me making one of my stir frys How I make my stir frys HERE! I LOVE OLIVES. ADD Jalepenos to them.. DONE... so good! I usually slice these up and add them to my salad! Also trying this SOY VAY for the first time as I want to make chicken teryaki bowls! Egg whites for breakfast! I want to make veggie omelets during the week or just add onions and bell peppers and sprinkle a little of this Daiya Cheddar stle shreds to it with a slice of toast! sometimes i will do two slices instead of oatmeal to change it up! I love the Daiya slices as well! Brussel sprouts never used to be something I liked before! NOW...I roast them with garlic and oh my goodness!! I have a video on how to do this How I roast my Brussel Sprouts HERE! I love getting these! I find sometimes that I just want to throw in onions and peppers! You can buy them whole but if you are busy and get a little lazy this is a great alternative! Love these in my stir fry and my egg whites!! I also have a love for shredded lettuce when I make my tacos! You can find that recipe for my spicy chicken tacos How I prepare my Spicy Chicken Tacos HERE! I eat these tomatoes like candy! So good add them to your salad or put them in a baggy for a snack! Broccoli! I will add this to my stir fry! The easiest way to prep them is to throw them in a boiling post for 4 minutes and then run them under cold water! You can see how I do that How I prep my veggies HERE! It is the same way I do all my veggies! Cabbage is awesome for stir fry and to add volume! I love seasoning it with a little salt and pepper! So good!! I also love Zucchini! My favorite thing to do is to turn it into spaghetti! How I turn my zuchinni into spaghetti HERE is a quick video of how I do that! I then throw it in my stir fry and voila! So good!! I eat 1 whole one for a serving size! If you know me then you know I have an obsession with anything potato! haha I love roasting these with rosemary and olive oil! So good!!! You can see me do this How I roast my potatoes HERE! I also share quick mealprep ideas!! Ground Turkey is awesome in your tacos as well as stir fry I used to make these turkey balls! haha so good! HERE is that recipe for my Ground Turkey lettuce wraps! I picked up some Trout I love to throw this on a grill or just broil it with a few spices! Will share that soon! I also picked up some Rockfish! I have never cooked it before so I will share that with you all in my new #Mealprepsunday video! I am trying this bread for the first time! I will let you know how it is! I like to make two pieces of toast in the AM in lieu of oatmeal sometimes! ALSO ROASTED CASHEWS are BOMB. I have about 10 to 15 for my fats and a snack usually before the gym! OR peanut butter with my protein pancake! More to come on that! Ok so these are my cheat snacks! We go to the movies and I like to have a fun snack! I am going to allow myself to indulge in a 1/3 cup of these guys on the weekend! Quick oats! these are my go to at Sprouts! That or coachs oats at Costco! 1/3 or 1/4 cup in the AM! or in my protein pancake! and one of the most important! WATER WATER WATER! ESPECIALLY during WEEK 1!!! I try to literally drown myself! haha in a good way...with water! 1 gallon to 2 gallons a day! I use my bottle but I also buy a few of these for days I know I am running around and keep it with me ALWAYS!!!! SO What did we learn folks! A. 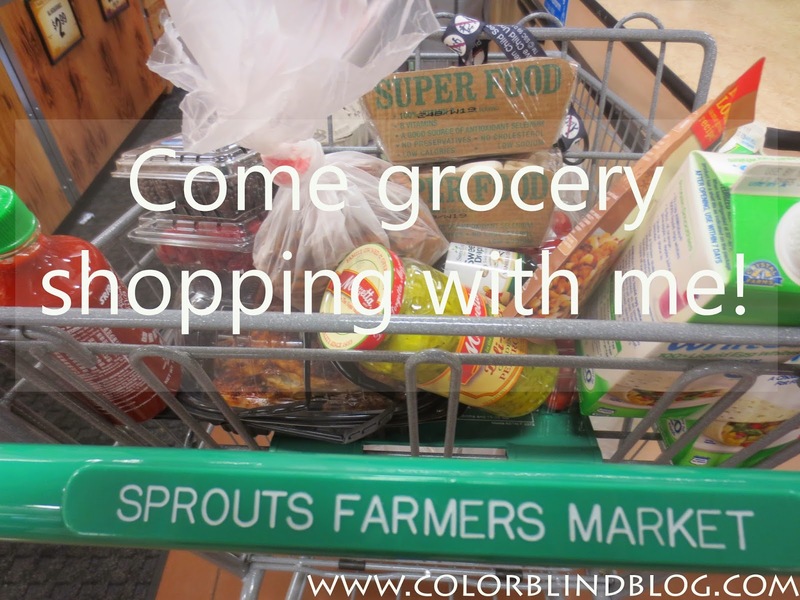 BUY WHAT YOU LIKE...Try to buy FRESH items and try to grab as many veggies as you love! B. Think about different ways you can make them during the week! Whether it is a stir fry, a taco, crockpot creation! C. SET YOURSELF up for Success! Prep the food for the week so you can prepare those ideas easily! If your chicken is grilled it will be much easier to throw it in a stir fry right? EMAIL me for questions! and stay tuned for me WEEK 1 #MEALPREPSUNDAY Video! Great selection!!! A healthy and fit life is possible only with healthy food so the always choose the food full of nutrition and energy. to stay fit it is important to have healthy and eating. For that you need to make correct plans for your diet and for eating.